Life Coaching provides training for lay leaders who aspire to ‘meet people where they are and help them take the next step’ of growth to maturity. 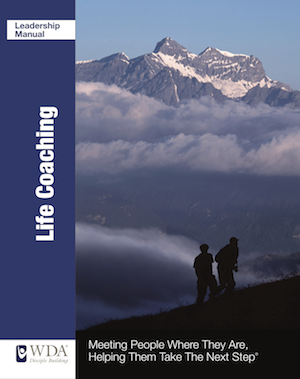 Life Coaching offers a philosophical approach and is carried out through the design and implementation of practical growth projects tailored to individual needs and levels of maturity. Workshops led by WDA Trainers are available for your ministry. Contact us to schedule a Life Coaching Workshop.